Hi! 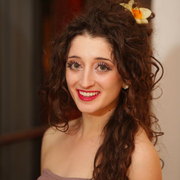 My name is Bonnie, I am a dancer who recently graduated from Hobart and William Smith Colleges (Geneva, NY) with a Bachelor of Arts in Dance and English. I love working with children and have been working as a part-time nanny and babysitting since I was 15. The most recent family I cared for had three children, a three-year-girl, a five-year-old boy, and a seven-year-old boy. We always had a lot of fun going to the park, the pool, baking, and playing make believe games in the house! I also have experience working with children teaching dance. I have taught children ages two-teenagers for two years and love being inspired by children's creativity. In college I worked a writing tutor and am always happy to help with homework! Bonnie doesn't have any reviews yet.